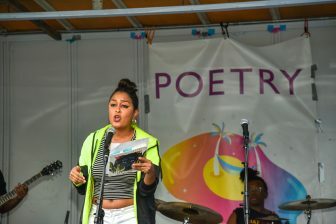 The 3rd annual Poetry Block Party came to Austin Town Hall Park late last month, bringing with it a variety of performances and offering local residents a number of educational resources and activities. 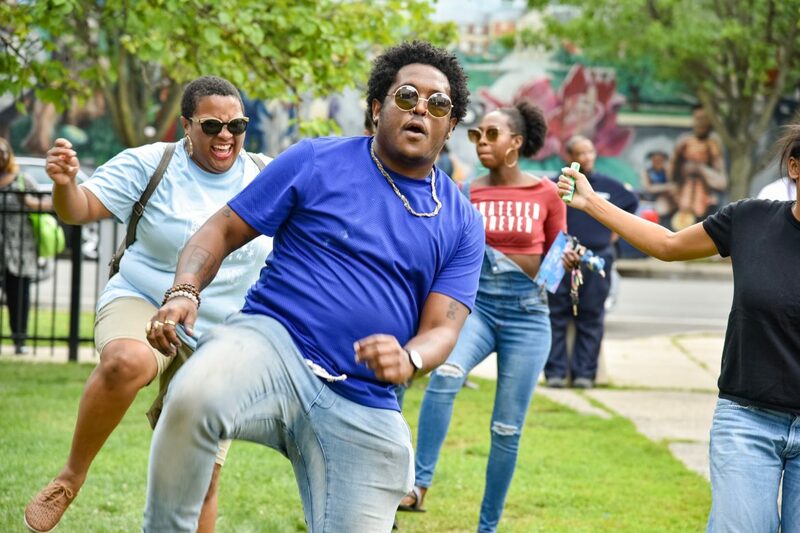 Hosted by the Poetry Foundation, Crescendo Literary and Austin Town Hall, the party featured performances from poets, dancers and musicians, including Tasha, Brandon Markell Holmes, avery r. young and Danez Smith. While the block party annually occurs in Chicago, this is the first time it has come to Austin. meditation and yoga sessions. Over a dozen non-profit organizations, including Get Covered Illinois, Social Works and No Cop Academy, attended the event to distribute information and provide activities. 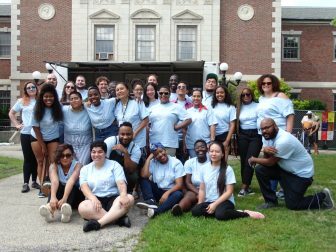 Ydalmi Noriega, director of community and foundation relations for the Poetry Foundation, said the party was also a celebration for 22 fellows who participated in workshops held at the foundation. Noriega said that while the incubator workshops are a resource for the fellows, who are selected from throughout the U.S. and Canada, the goal of the program is for the fellows to take use these resources to improve their own communities when they return home. During their time in Chicago, fellows learned how to improve their craft and skills that could help them make positive changes in their communities, like fundraising. 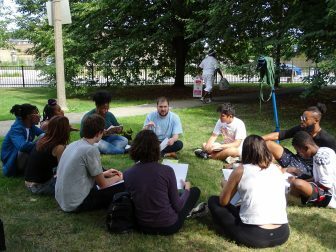 Fellows selected for the incubator program work in a number of fields involving poetry, and many participate in social advocacy work. Noriega said often, young people involved in that type of work feel alienated because their communities may not have large activists groups. “It’s really affirming to know that perhaps you’re in Detroit doing this work, but there is someone in South Dakota that is doing similar work, and there is someone in L.A. and someone in Chicago,” Noriega said. which candidates wrote about a project they would like to accomplish in their community using the knowledge they gleaned from the Chicago workshops. “Their goal in coming here is thinking, ‘How can I learn what I need to go back and help my community blossom?’” Ewing said. Victor D. Jackson, a fellow who works at Uncle Bobby’s Books and Coffee store in Philadelphia, said before the fellowship he thought the only people who wanted to improve their community didn’t have the resources to do it. But now he sees a lot of people are doing this work. Jackson said he plans on using the skills and knowledge he acquired through the incubator to help non-profits affiliated with Bobby’s called the People’s Sanctuary and People’s Education Center. “I learned that 21 people other than myself flew from different parts of this country and even abroad, to figure out the basic forms of what it is to write for the people,” Jackson said.